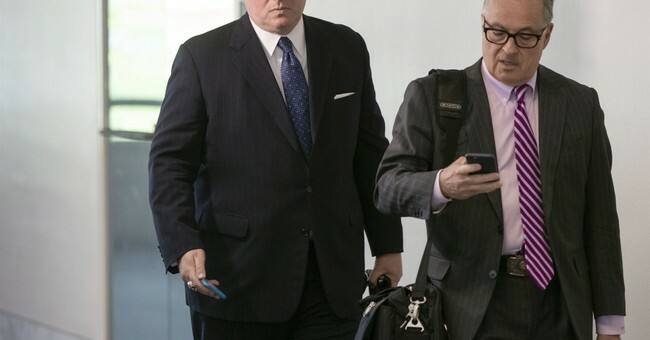 Former Donald Trump campaign aide and political strategist Michael Caputo says he knows who wrote the mysterious “resistance” op-ed in The New York Times. It’s a she. The Trump administration "is filled with people like her," he continued. "There are active programs" to stop Trump loyalists from joining the White House and to purge Trump loyalists from agencies, he alleged. Not only did “she” hide behind an anonymous op-ed instead of quitting, she tried to pin the blame on her colleagues, leaving several hints in the piece that led analysts to different officials in the administration. She published the piece now in order to affect the midterms and impeach President Trump, Caputo also suggested. At one point, the radio hosts pushed back a bit, wondering if Trump was to blame for the resistance movement. Will her identity be revealed?